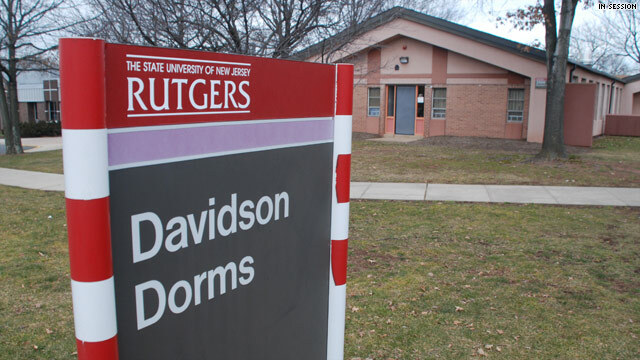 The trial of Dharun Ravi began Friday, February 24, 2012. 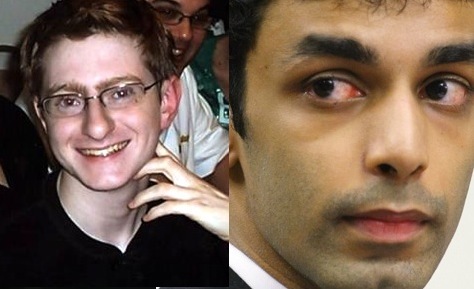 Mr. Ravi webcasted his roommate at Rutgers University, Tyler Clementi, partially clothed and kissing another male. Several teenagers, including Mr. Ravi, viewed the webcast. After learning of the webcast, Mr. Clementi committed suicide. Mr. Ravi is facing fifteen charges, but there is no charge alleging that Mr. Ravi caused Mr. Clementi’s death. Mr. Ravi is charged with four counts of bias intimidation, two counts of invasion of privacy, two counts of attempted invasion, three counts of evidence tampering, three counts of hindering apprehension and one count of witness tampering. Bias intimidation is the most serious of the charges he is facing, which is a hate crime that carries a maximum jail term of ten years. Since Mr. Ravi is an Indian citizen, if he is convicted, he could be deported. New Jersey’s bias intimidation law is approximately a decade old and is usually only prosecuted when the underlying crime is more serious than an invasion of privacy. Recent examples of where the bias intimidation law has been used are an assault and a face-to-face intimidation. The elements of bias intimidation the prosecution needs to prove are Mr. Ravi committed or attempted to commit invasion of privacy under circumstances that caused Mr. Clementi considering the manner in which the invasion of privacy was committed the victim reasonably believed the invasion of privacy was committed with a purpose to intimidate the victim because of sexual orientation. The charge against Mr. Ravi is an example of the new way the bias intimidation law is headed: embarrassing images displayed online. The prosecution is trying to make Mr. Ravi’s actions fit the definition of bias intimidation by showing that Mr. Clementi felt intimidated and reasonably believed he was singled out because of his orientation. Under theis interpretation based on images displayed online, the purpose of the intimidation is irrelevant. I believe the testimony given by the prosecution’s witnesses to date is largely irrelevant for the bias intimidation charge. Even if the prosecution can establish that Mr. Ravi singled out Mr. Clementi based on his sexual orientation, they need to prove that Mr. Clementi was intimidated and felt that he was singled out because of his sexual orientation. Mr. Clementi being intimidated could be inferred by his committing suicide and the outside observer could also say that he committed suicide because he believed Mr. Ravi singled him out because he was a homosexual. The problem is that the prosecution needs to make this connection with evidence beyond a reasonable doubt. The defense could easily argue that it is reasonable to believe that Mr. Clementi committed suicide because he was embarrassed, and not because he was intimidated. The defense could also argue that Mr. Clementi committed suicide because he was not ready for the public to know his sexual orientation, which is also different than being intimidated. Without Mr. Clementi’s ability to testify I find it very hard for the prosecution to prove beyond a reasonable doubt that what Mr. Ravi did intimidated Mr. Clementi and did not embarrass him. The prosecution is likely trying to bring Mr. Ravi’s mental state into question even though it is not the real crux of the charge. In addition to proving the lesser charges, the prosecution may hope that by showing that Mr. Ravi had a bias against homosexuals the jury may assume that someone with a bias against homosexuals intimidates them as well. As more and more of the world’s activity moves toward the Internet, it is only fitting that an increasing amount of the alleged crimes will be Internet based as well. The law in this area is unsettled because most of the potential issues have likely yet to be seen. This case is extremely high profile and likely being watched by practitioners across the country to determine what arguments ring true with the jury and what the jury does not identify with. If Mr. Ravi is found guilty, what charges could be filed next? This is likely just the first case in a long line of cases that will provide the scope of what is bias intimidation and what is not. Brandon Reiner is a second year student at Fordham University School of Law. He received a Bachelor in Business Administration in both Finance and Real Estate from the University of Wisconsin. Brandon is interested in working in a field of law that combines his law degree and his undergraduate majors.